New Delhi, Nov 10, 2017 : In a move that is set to give a boost to the housing sector, the government on Thursday revised the House Building Advance (HBA) rules for central government employees, increasing by over three times the amount they can borrow from the government for constructing or buying a new house. 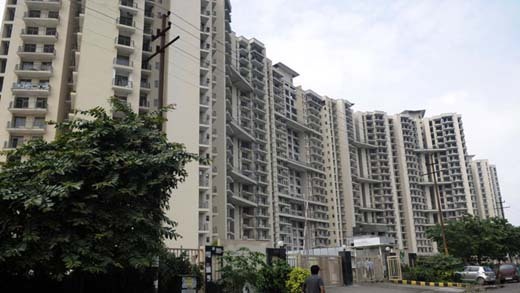 The revision will allow a central government employee to borrow up to 34 months of basic pay, subject to a maximum of Rs 25 lakh, for building or buying a new house or flat. Earlier, this limit was only Rs 7.5 lakh. But, this is not all. The cost ceiling of the house that an employee can construct or purchase has also been revised to Rs 1 crore, which can be further revised by 25% in deserving cases, a government statement said. The earlier cost ceiling was Rs 30 lakh. The move was among the recommendations of the 7th Pay Commission that was accepted by the government. HBA can be availed by an employee only once in a lifetime. Also, the new rules will ensure that both spouses, if they are central government employees, are eligible to take HBA either jointly or separately. Earlier, only one spouse was eligible for HBA. The amount that an employee could borrow for renovation or expansion of their house has also been revised from Rs 1.80 lakh to Rs 10 lakh. “The rate of interest on House Building Advance shall be 8.50% (simple interest), in place of the earlier rate of 9.50%. This rate shall be reviewed every three years. All cases of subsequent tranches/instalments of HBA being taken by the employee in different financial years shall be governed by the applicable rate of interest in the year in which the HBA was sanctioned, in the event of change in the rate of interest,” the statement said. It added that the methodology of recovery of HBA shall continue as per the existing pattern recovery of principal first in the first fifteen years in 180 monthly instalments and interest thereafter in next five years in 60 monthly instalments.